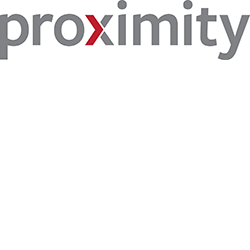 Proximity is a leading provider of legal, procurement and contracting and governance and assurance services to the government sector. Legal, procurement, contracting and governance services for major platform acquisition and sustainment across sea, land, air and technology platforms. Proximity regularly advises on legal, procurement and contracting issues in relation to Cyber Security. Proximity is currently advising Defence on legal issues (including legislative powers) in establishing a new cyber capability. This has included advice on the application of: Privacy Act 1988; Telecommunications (Interception and Access) (TIA) Act 1979; Intelligence Services Act 2001; Freedom of Information Act 1982; Public Interest Disclosure Act 2013; Crimes Act 1914; Defence Act 1903; Defence Force Discipline Act 1982; Public Service Act 1999 – APS Code of Conduct and Military equivalents; and Spam Act 2003. Proximity has also advised Defence and intelligence agencies on the procurement of cyber capabilities (products and services) and assisted with the contracting and negotiation of Cyber Security contracts. Proximity has advised both government entities (including Defence) and private sector organisations on contracts and procurement for space capabilities including advising Defence on its acquisition and use of satellite services, satellite payloads and satellite communication terminals. This has included procuring satellite services under the AGTA framework across multiple bands (including Ku and X bands) and across multiple constellations (including Inmarsat, Intelsat and Iridium); assisting with the procurement of satellite services for both legacy services and next generation services (including anchoring and backhaul) under both dial-on-demand and leased service arrangement; and advising on legal and commercial issues for hosting Defence satellite payloads on commercial satellites. Our model: We primarily work onsite at your office. We work as part of your team to achieve your objectives. Our people: We are technically excellent, strategic thinkers, highly experienced and practical. We combine big picture strategy with attention to detail. Our team seamlessly become part of yours. Our focus: We focus solely on the government sector. We understand the laws, policies, politics and culture of this sector.